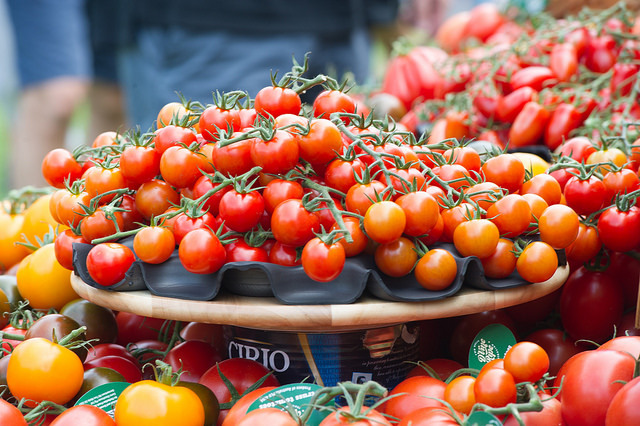 Tomatoes are enjoyed all over the world -- in salads, sugo, passata, pickles, bruschetta, pizza, chutney, relish and sauce. So the time is again ripe to give the Lycopersicon esculentum a bit of love at the Royal Botanic Gardens' award-winning Tomato Festival in 2017. 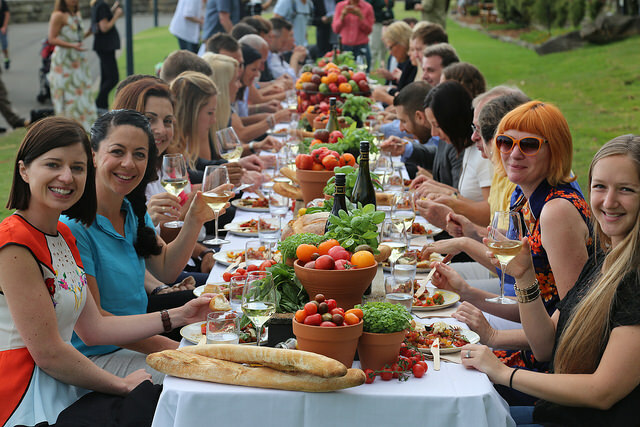 Choose from spicy events that range from a 72m-long table lunch to a produce market selling heirloom varieties as well as various talks and workshops with gardeners, Michelin-starred chefs and celebrated local artisans. Best of all, because of the festival location in the #BotanicGardenSydney, visitors get to relate their food back to botany. Want to get a bit saucy? 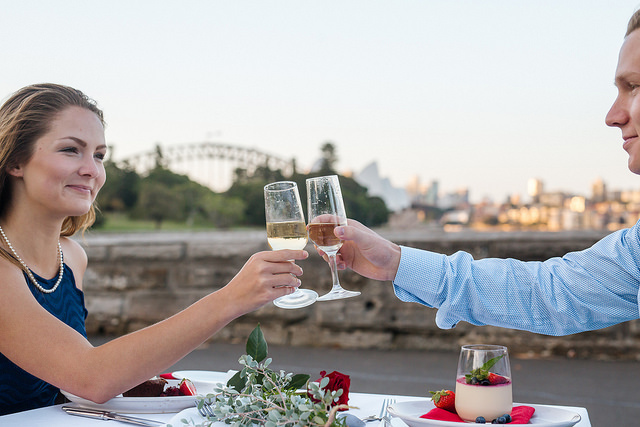 Squish in alongside your lover for this new romantic dinner set on the harbour foreshore. Make your Valentine see red at the first-ever Lovers' Dinner in the heart of the Royal Botanic Garden Sydney with a three-course dinner and open bar. Surprise your paramour with a bouquet of roses and personalised invitation to join you at the candle-lit dinner as part of the package. Visit website. The Pomme d'Amour Lovers' Dinner is a new addition to this year's Tomato Festival. Tomatoes are at their peak at the tail-end of summer which makes it the perfect time to embrace a cooking class with Two Michelin-Star and multi award-winning chef, Milan-born Luca Ciano, who joins the line-up at the Tomato Festival's cooking and learning hub. You can also give Ciano's specialty pasta sauces a twirl as they are available to taste and buy at the event. This is Italian cooking at its best. Seasonal. Simple. Bellissimo. Click here for more details. The Longest Tomato Lunch was a sellout success last year. This year, there will be double the tomato love. Talk about a pizza with the lot. While the parents are busy enjoying the Longest Tomato Lunch, the kids will be entertained on an interactive adventure through the garden. Pizza Plants will take children on a treasure hunt to find pizza ingredients, plant yummy herbs to take home and make a mini-pizza to eat. Click here for more details. Also new this year is the Tomato Odyssey, where children grab their tomato passport and go on an adventure around the Mediterranean to enjoy fun Greek-themed activities such as tomato throwing and Olympic sack races. 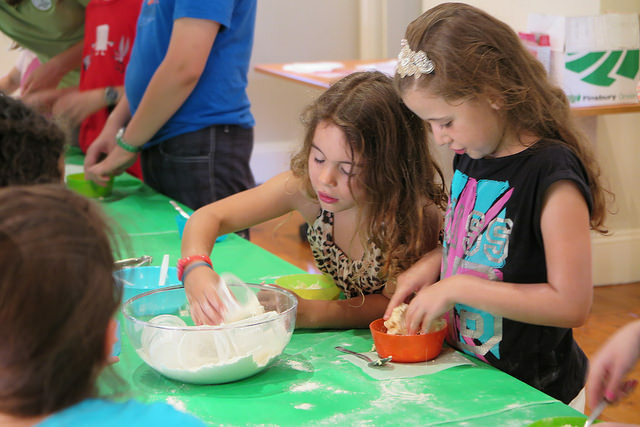 Did someone say mini pizza-making classes for kids? Bring it. Located in Orange, the Second Mouse Cheese Co. is all about artisan cheeses that are handmade with love including camembert, haloumi, quark and feta. Tomato and cheese are, let's face it, the perfect plate mates - whether on a sandwich, pizza, or stacked on top of a pile of fresh basil.